This is the mirror in the bathroom of a burger joint in Woodbury, CT. I have a fuji p&s, that has unusable noise in any shot that isnt outside or flash. This bathroom had a bright flourescent light so I was able to get a sharp shot. 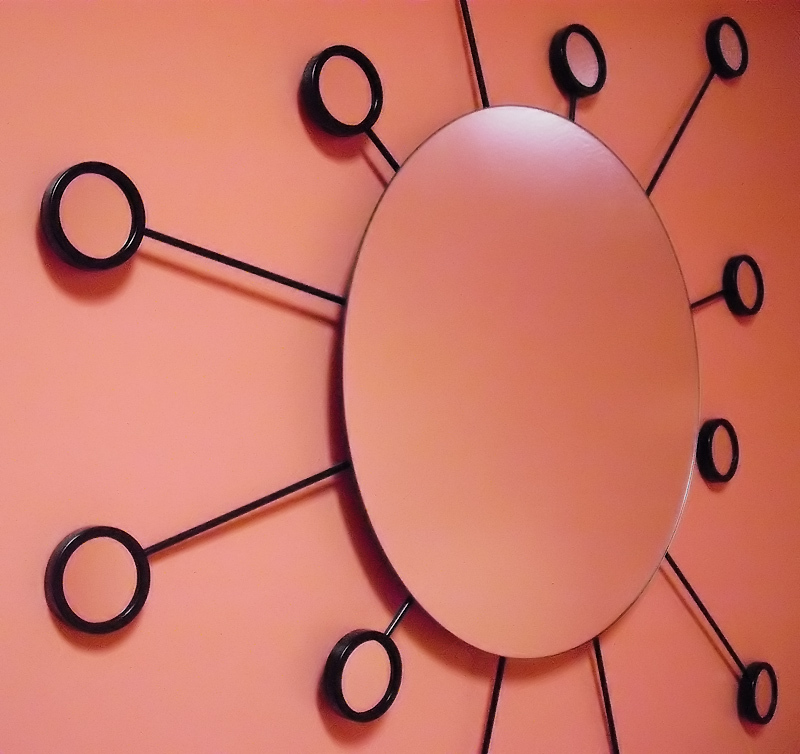 I guess the only thing worth talking about is that I was able to get wall color in every piece of mirror. This was a decent composition but there truly are many better, more enjoyable shots down the proverbial ladder. I guess I was a bit surprised because sometimes I see pictures of artwork or sculptures or things and think hey, that is just a picture of another thing, where is the art in that?I guess composition and what is not in the frame, matters. just can't predict what will happen sometimes. Proudly hosted by Sargasso Networks. Current Server Time: 04/23/2019 11:56:52 AM EDT.